SKU: SKU226411 Categories: ALL PAINTBALL GUNS, Kingman Spyder Brands: Kingman Spyder. 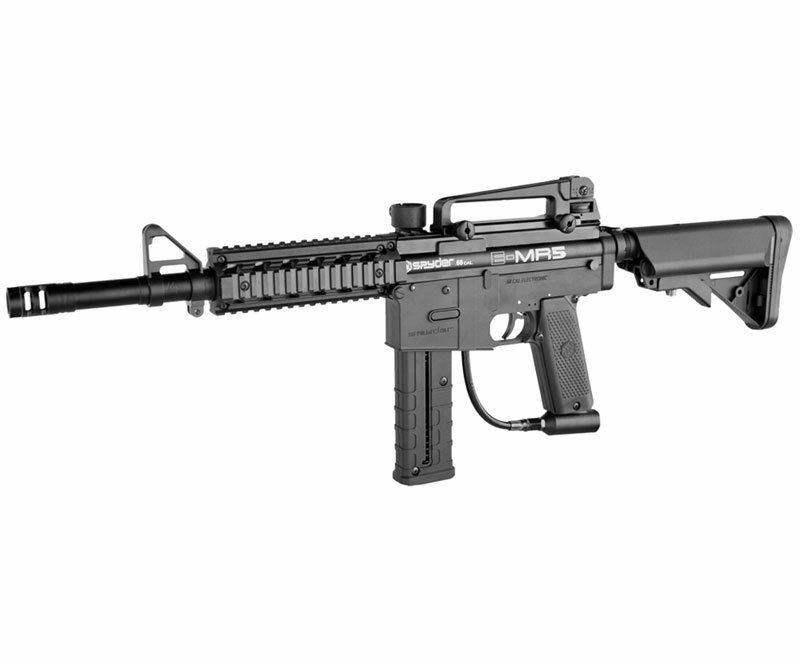 New for 2013, the Spyder E-MR5 features the new “Advance” electronic trigger frame with the LEAP 3 circuit board and color access mode display (SAFE, SEMI, 3 Burst, 6 Burst, Full Auto and low battery indicator). The E-MR5 comes stock with a 9-round magazine capable of shooting .68 caliber paintballs and the new First Strike paintball from Tiberius Arms. The First Strike paintball offers 2x more range and 25x more accuracy. This innovative “DLS” Dual Loading System utilizes a unique patent pending system that enables you to interchange your loading system with a quick turn of the barrel allowing the user to switch between a traditional upper load feed system and lower magazine feed system during play.